If you’re looking for new heating system installation in Rockland County, NY, then turn to the experts at Clarkstown Heating & Air Conditioning. For nearly 40 years we’ve been committed to providing our customers with the absolute best heating system installation, service and expert advice. At Clarkstown we’ve always put our customers first. The quality of our customer service and attention to detail speaks for itself. Our team of heating experts works hard to make sure your home is warm and comfortable throughout the winter months. If you’re having any concerns with your current heating system, now is a great time to learn more from our trusted, knowledgeable heating experts. Your home comfort has been our priority since 1976 and it has been a pleasure to serve customers in Rockland County, NY over the years. For us, the job is not complete until we know that you’re 100 percent satisfied with your new heating system installation. Our NATE and EPA Certified heating experts approach every job with professionalism, honesty and integrity in mind because we you to feel confident in the heating solution for your home. Qualities like these have earned us a first-rate reputation for new heating installation in Rockland County, NY and we plan to build upon it for many years. Why Choose Clarkstown for Heating Installations? One of our technicians will visit your home to learn more about your heating needs and discuss the various options available to you. We will use our expertise to create a customized heating solution just for you. 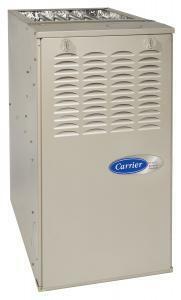 Turn to the experts at Clarkstown Heating & Air Conditioning new heating system installation in Rockland County, NY. Stay warm throughout the cold winter months with Clarkstown. Call us at (845) 620-1000 and we’ll be more than happy to assist you.